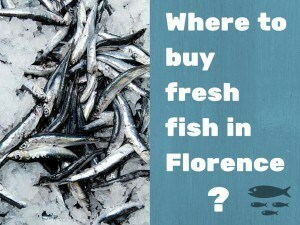 Where to buy fresh fish in Florence! Florence isn’t by the sea but is also not far from it. Supposedly fresh fish hits Florence on one particular day: Tuesdays (also Fridays). Why on Tuesday in particular is explained by the urban legend (that might have been true a while ago) that fishing boats leaved on Fridays and come back on Mondays delivering for transport on Mondays. Fresh fish hits the markets on Tuesday morning. You might as well notice that some restaurants offer daily special’s with fish as a course on Tuesdays. Urban Legends with a bit of contemporary confirmation. Mind the legend if you are looking to buy some fresh fish to take and cook at home, this is the article for you: the complete list of places where to buy fresh fish in Florence! Since the early twentieth century the Fish Shop Dolfi Fulvio, inside the Central Market in Florence has always meant the highest quality in the choice of fresh fish for the table. Makes home deliveries and supplies of live crustaceans. The Pescheria and Seafood Restaurant in Florence is located right by Florence main train station of Santa Maria Novella. A friendly and warm atmosphere where you can eat, drink and chat. You can also enjoy appetizers and cocktails quality. The culinary proposal is based on fish, but there are specialties suitable for vegetarians. It’s a great place for fish shopping and also business launch or aperitif with its cocktail bar. Address Via Luigi Alamanni 7, Firenze Italy, official website. Here we are a few steps from the Cascine park in one of the most busiest squares. In the morning you can buy fresh fish or, more later on, even cooked, take away. The place is not very big: it is almost entirely occupied by the long counter divided in half between fresh seafood and cooked down: octopus with potatoes, shrimp salad and artichokes, salt cod with leeks, swordfish marinated .. plus they also expressed of the former. On the walls of the stools and a small shelf where to eat. At lunchtime it is full of people who work in the surrounding area. This fish shop is perhaps the oldest of Florence, acquired in the 80s by Massimo Montini (third generation of fishmongers) the fish is fresh every day. He goes to choose it in person twice a week at the fish market of Viareggio, on Mondays and Thursdays, other days bring him exposures suppliers. Favored the Tyrrhenian from which the cockles in late winter, octopus, cicadas and mullet in February, the octopus in June, anchovies and mackerel in the spring. In October, coming from the Mediterranean tuna, the sword and amberjack. Complete the offer: live crabs and oysters from Britain, Scottish salmon and cod wet Norwegian (Thursday and Friday). The Fishery Moreno was born in the sixties by Moreno Gallori that started and ran the business until the seventies. The management of the shop was continued in the following years by his brother Mauro, who operated the shop until his retirement in 2003, when the shop was acquired by the current owner, Daniele Gallerini, wholesale seller for over 40 years. Daniele was also a supplier of the workshop itself, and decided to keep the name that was already historical and well known throughout Florence. 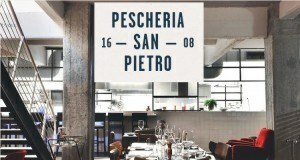 As you might guess Pescherie are also located inside the markets of Sant’Ambrogio and Mercato Centrale in San Lorenzo. Barabino was the nickname of the grandfather of Alexander, now owner of this school of fish in the St. Lawrence that his grandfather – hence the odd name of the fish – bought in the early postwar years. Since then the whole family has been dedicated to this activity also branching out to other stores in the city. Direct selection to the fish market of Viareggio, twice a week, and daily contacts with suppliers viareggini the guarantee on the bench fresh fish and absolute quality all rounds. When fishing limitations were less strict, Massimiliano Giani was the king of the blue-fin tuna in Florence. Today that tuna fishing is more regulated is hard to find at good quality and at an affordable price. Massimiliano employs all his professionalism and capabilities selecting only Tyrrhenian Sea fish (hake, octopus, shrimp, blue fish . The Florentines, hold him in high esteem. To ensure fresh fish on the counter all week, Fabio goes in person to the fish markets of Livorno and Viareggio 3/4 times a week. Every Thursday even drives to the coast twice, in the morning and the afternoon. Friday is a big party! Bass, sea bream, octopus, scorpion fish, gurnard, skipjack or bonito, sanpietri, shrimp pink, red and scampi. Not only a fish shop but also a place for a quick snack based on fish: fried and griledl. Lorenzo Boccianti (in business for 25 years) not only sells good fresh fish, but you can order on the spot a nice bag of fried seafood (squid, shrimp and octopus) or grilled fish (tuna, swordfish, squid and cuttlefish). Yummy! For an even more detailed list check out the Pagine Gialle list of Pescherie in Florence, Italy. A bit outside of the main tourist track here a tradition of fishery business. This place also sells to the final consumer but also to Fish shop, restaurants themselves. The activity of the “brothers” in the fisheries sector, starts after the end of the war, with street trading of fresh local seafood. In 1960 there was the opening of the first fish in the center of Empoli, up to the birth of the company Primapesca Spa for business to ‘wholesale fresh produce. In the early 70s with the advent of new techniques for the cold storage of fish products, the company was founded Iliopesca used to trade in frozen fish d ‘import. Since January 2008 PRIMAPESCA S.p.A. was built by the group Iliopesca, becoming an internal division fresh fish; Today the group is one of the leading companies in Italy for ‘procurement and distribution of all kinds of fresh and frozen fish, can guarantee always high quality standards, using direct reports, with primary producers around the world . We hope you’ve enjoyed this article and hope it will be helpful for your next fish shopping experience!